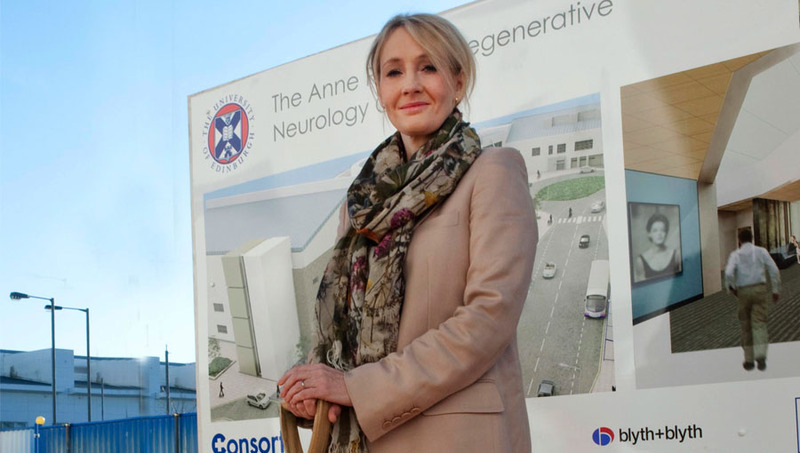 In 2010, J.K. Rowling donated £10 million towards the foundation of a new clinic at the University of Edinburgh. The Anne Rowling Regenerative Neurology Clinic will support patients with multiple sclerosis and other neurodegenerative diseases, as well as conducting major research into neuroregeneration. The facility is named after Jo’s mother, who died of multiple sclerosis aged 45, and will open officially in 2013.